A Northumberland man has been ordered to pay hundreds of pounds in compensation for owning a dog which was dangerously out of control in a public place. Steven Connor Brewis, 23, of Grange Road, Morpeth, admitted the offence, which happened in Green Close, Stannington, in March. Brewis has to pay a total of £862, including £667 in compensation and an £80 fine. The amount will be deducted from his benefits. As a result of the incident, magistrates at Bedlington said that Brewis’ dog – a Staffordshire bull terrier named Ella, must now be kept under proper control by wearing a muzzle and being on a lead at all times when she is in a public place, otherwise she must be destroyed. ○ An Amble man has been fined for not wearing a seat belt. David Robert Drape, 57, of Queen Street, had originally denied the offence, but later changed his plea to guilty. The incident happened at Amble industrial estate in October last year. He was ordered to pay £120, including a £50 fine. 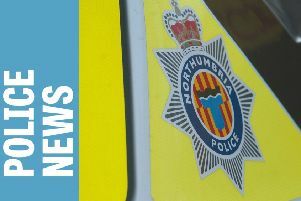 ○ A Morpeth man has been sentenced after stealing items from the Co-op in Hadston. Anthony Stewart, 34, of Wensley House, Main Road, pinched food to the value of £20 from the store at The Precinct. He also took two joints of pork, totalling £12, from the Co-op. Both cases were proved at Bedlington magistrates’ court in his absence. A total of £225.17 will be deducted from his benefits, including fines and compensation. ○ A man has been fined for keeping an unlicensed vehicle. Paul Harvey, 38, of Caldburn Drive, Morpeth, pleaded guilty to the offence, dating back to July last year. He was ordered to pay a total of £230, including a £145 fine.